The Croydon Guardian reports that tonight Croydon, "once described as a 'complete concrete hell' by David Bowie, will announce a multibillion-pound regeneration plan that will, potentially, turn it into a beacon of sustainability, drawing on ideas from other European cities including Barcelona. The architect Will Alsop, who once tried to reinvent Barnsley as a walled Tuscan hill town, is to mastermind the transformation, which has as its centrepiece 'a vertical version of the Eden Project' rising more than 30 storeys in Park Hill Park. Effectively a giant greenhouse in the form of a skyscraper, it would become Croydon's primary visitor attraction with different species planted in 'sky gardens' on each floor. Alsop has proposed hacking back 'a forest of car parks' choking the town centre, shutting eight-lane highways to through traffic and building a pedestrian-friendly 'emerald necklace' of parks. The river Wandle is also to be brought back to the surface 40 years after it was buried in culverts and Alsop hopes to revive fishing for Wandle trout." "20,000 new homes will be built to increase the town centre population from fewer than 5,000 residents to 50,000. Glass apartment blocks will be connected by high-level covered walkways crossing the main Wellesley Road, which will be reduced from eight lanes to two. Pod-shaped buildings will rise up on stilts and scores of public squares and miniature parks will be built throughout the town centre, inspired by the regeneration of Barcelona after the 1992 Olympics." 1 Why is the council wasting so much time and resources on trying to build the unwanted and unnecessary arena in Dingwall Road? 2 We have seen plans like this, eg high level walkways, before. Those of you with long memories may recall an exhibition held near the Fairfield Hall in the early 1990's. This was to showcase proposed designs for a "brave, new Croydon". We were treated to stunning models and drawings showing; glass walkways, communal gardens and elegant office/residential tower blocks. Needless to say, these plans came to nowt. I wonder if any of us will live long enough to see these plans come to fruition? "The Bricks and Mortar e-mail inbox usually contains only pictures of immaculately maintained houses. But images of decay and dilapidation have been appearing, after our report last week on the scandal of Britain’s 840,000 empty homes. Readers have sent us snaps of vacant and neglected dwellings down their streets, properties that could be made viable if local authorities would only assume proper responsibility for this issue. 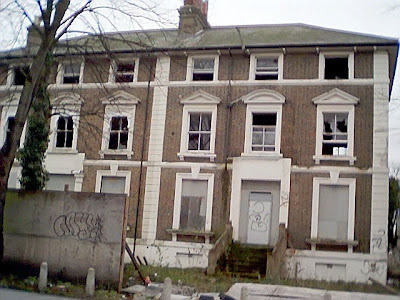 One blogger from Croydon has set up a website (www.croydoniscrap.com) to ensure that his borough’s empty homes do not remain blots on the townscape but become part of the solution to the housing crisis. Whitehall has plans for 3 million new homes by 2020, but it cannot afford to forget that a good proportion of these homes are already standing." I hope that the authorities take note, and start to clean up these blots on our "townscape". Those of you with long memories may recall that one of the very first derelict sites that I "named and shamed" on this site was the "Bird House", a substantial derelict property on Sydenham Road. Sadly over three years on, the property remains very much untouched (despite Croydon Council, in April this year, telling me that they had given planning permission for a development of flats). In order kick start things along I sent the following to The Times Property editor today, together with some photos, as the paper had requested photos of derelict empty buildings from around the UK. I will keep this site updated with any developments, should they occur. "Re your article in Friday's Property section, 'Why Are They Empty? ', in which you asked for photos of derelict property. Please find attached photos of a large property in Sydenham Road, Croydon. It has been derelict and abandoned for years, and I have featured it regularly on one of my websites www.croydoniscrap.com (in this site I name and shame squalid buildings, derelict land, streets and other areas that are a blight on Croydon, the community and the environment). However, as yet, there is no sign of any building work commencing. Suffice to say the residents of Sydenham Road and the surrounding streets deserve better than this. To add to their misery Lower Addiscombe Road (just around the corner) is falling into a state of decay and neglect; as I highlighted over 3 years ago. 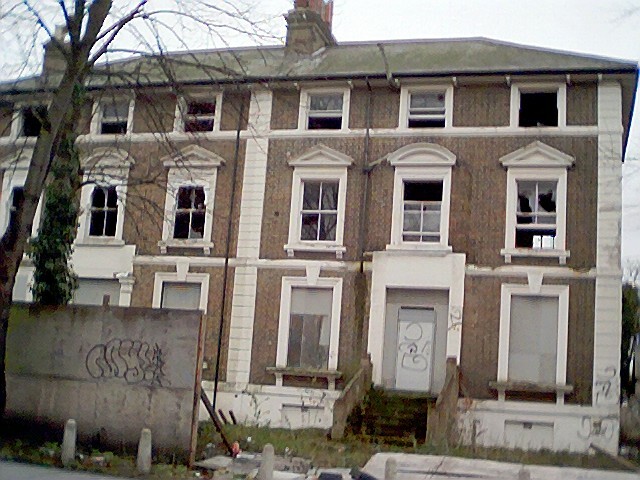 Given the housing problems in Britain, it is a national scandal that so many areas are allowed to decay in this manner. It looks as though the government has put the mockers on some of Croydon's regeneration schemes. Chancellor Alistair Darling announced during the Comprehensive Spending Review that the £77M that Croydon was supposed to be receiving in funding through the Local Enterprise Growth Initiative (LEGI) may be unavailable in the future. It seems that Croydon Labour group leader, Councillor Tony Newman (ex Council Leader), is trying to blame the current Conservative council for this. Given that it was the Labour administration under Newman that bankrupted Croydon in the first place, I find his comments to be "a bit rich". I am proud to announce the birth of new website. Anyone with any stories about Thames Water, or who know people with stories about Thames water, please send them in. Property group Terrace Hill Group PLC has said that it has received planning consent for a 204,000 square foot 14-storey office building in George Street, Croydon, opposite East Croydon railway station. The company says that it plans to start construction in late 2007, at a cost of £100M. "Originally the £500million shopping centre (Park Place) was to be built in two phases, easing the disruption to residents, transport and businesses nearby and allowing the Allders department store to move into new premises with minimum disruption. But now the mammoth retail complex will be built in one go and fears are growing over the future of the North End department store which began trading in Croydon in 1862. The council confirmed this week that Park Place would be constructed in a single phase development." It is sad to see the Allders building go. However, the store itself has long since died (eg the mens' department) and is a pathetic shadow of its former self which should most certainly be put out of its and our misery. My commiserations to the seriously injured driver of the crane, that collapsed onto the roof of the Croydon Park Hotel on Saturday, I wish him a speedy and full recovery. It is at least some relief that there seem to have been no other serious injuries. One piece of friendly advice to Altitude 25 and their associates Howard Holdings, who are the building site developers, it may be wise to publish some information on your websites about the collapse together with a note of sympathy to the driver. As at this time, there is no mention of the collapse on either of the sites. I am saddened to read that in the last five years Croydon Council has felled 2600 trees, yet only replanted 600 of those that have been cut down. Seemingly the borough has such appalling finances it cannot afford to replace any more of the trees. That being the case I am forced to ask why the council is so dead set on supporting the Arrowcroft arena scheme (with no green space), when the Stanhope scheme eschews the unwanted white elephant of an arena in favour of a new park planted with mature trees. It would seem that the council is not as fully behind the arena development as they would like to have us believe. Croydon Council have announced a joint venture proposal whereby the council will put between £30m and £60m of property assets into a specially created limited partnership, to be matched by funds from a private sector developer. The private investor will take over the development of the joint venture, which will also take on bank debt to help regenerate Croydon town centre and, in theory, make profits for both the council and the private company. The ultimate value of the vehicle has been estimated at £450m. "We have to make better use of our assets. The Government White Paper has been encouraging councils to look to their assets and make sure they are sweating them. In this kind of deal it makes a lot of sense for us to put in our assets and the private sector to put in the equity." I am most certainly in favour of the council making the most of its, sorry, our assets. However, given the lamentable shortcomings demonstrated so far with regard to the "regeneration" of Croydon (eg the arena) are the council actually capable of making a success of this? I have had a response from Croydon Council, regarding the query I sent to them on Friday about the "Bird House" at Sydenham Road. It seems that an application to build flats on the site has been received and approved by the Council. That is good news, the residents of Sydenham Road have had to endure that dangerous, decaying eyesore for over seven years. Finally something is being done about it. The only question being, when will work commence? 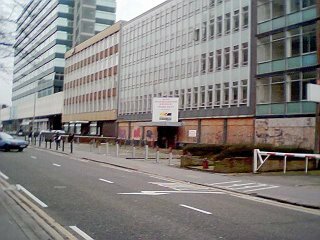 "Given Croydon Council's predilection to use compulsory purchase orders (see www.catarena.org), why have the council not used one on this derelict eyesore in Sydenham Road? I first wrote about it in February 2004, yet it remains untouched and unloved. Instead of providing much needed accommodation for human beings, this decaying carbuncle is merely providing a home for flocks of pigeons. The owners and Croydon council should be ashamed of themselves for not ensuring that this building is used for the purpose for which it was intended." I received an interesting letter today, from Croydon Council's Corporate Solicitor. In it he notes that the council have seen my letter to the Secretary of State, objecting to the CPO of the land near East Croydon station, and would welcome an opportunity to arrange a meeting between myself and the project team "to discuss your concerns in more detail". Seemingly an Associate, within the compulsory purchase and compensation team of Donaldsons (an independent firm of surveyors and property consultants), will contact me in due course. That's very nice, but why leave it to this stage to invite me for a friendly chat? I have, after all, made my opposition to the Arrowcroft scheme very clear for quite some time now (in fact I have been objecting to it since before this administration was elected to office, last May). I wonder if this sudden desire to engage with me has something to do with the forthcoming public inquiry into the the CPO? Property Week reports that Arrowcroft have told the High Court that it will not proceed with the action against communities secretary Ruth Kelly, who gave planning consent for the rival Stanhope Schroders' scheme for the Croydon Gateway development last June. Arrowcroft believes that the subsequent decision by the council to compulsorily purchase the site for the Arrowcroft scheme, means that it does not need to proceed with the court case. I received the following email from Croydon Council today, in respect of my enquiry regarding the Arrowcroft "newsletter". Thank you for your email dated 8/02/07, sent to Croydon Council, in which you ask questions pertaining to a newsletter you have received recently. 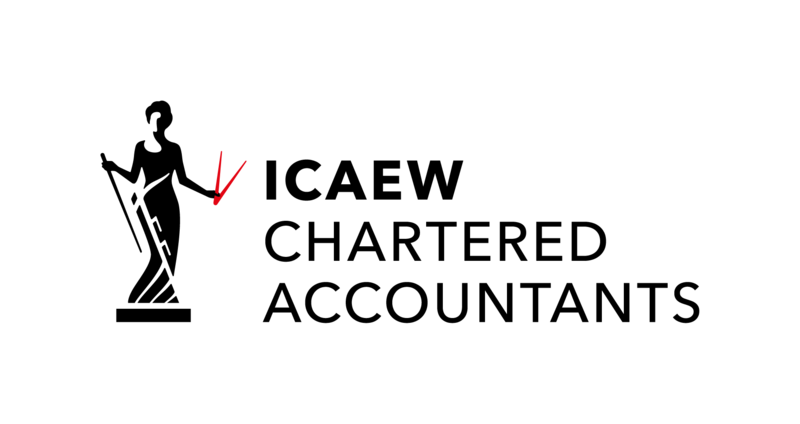 It is very likely that the document you refer to is the spring 2007 newsletter produced by Arrowcroft. Croydon Council has a devolvement agreement with Arrowcroft to develop the Gateway site adjacent to East Croydon station. In order to keep local people informed of progress with development, Arrowcroft produces a regular newsletter which is distributed to households within the CR0 postcode area. The Council is aware of and approves the content of the newsletter. No residents’ addresses have been supplied by the Council to Arrowcroft. The design, printing and distribution of this newsletter is paid entirely by Arrowcroft and so no Croydon Council taxpayers’ money is used for this purpose. I hope this answer allays your concerns. In my view, given that the content of "newsletter" is approved and reviewed by the council (ie they derive political/PR benefit from the "newletter"), yet paid for by Arrowcroft, does this not constitute some form of "election" or "political" contribution that should be declared by both Arrowcroft and the council? I have raised the matter with my MP, Andrew Pelling. "Yesterday I, and I assume other residents living in Croydon, received another expensively produced colour 4 page propaganda sheet outlining the benefits of the Arrowcroft/Croydon Council proposal for the Gateway site. It was remarkably "economical with the actualite", eg it scrupulously refuses to mention that Stanhope own the gateway site and have a rival plan for it. The propaganda sheet notes that Arrowcroft are in "partnership with Croydon Council", and makes liberal references to Croydon Council. I assume that the wording and layout has been approved by the council prior to distribution. 1 Did the council pass on my address details, and the address details of other residents, to Arrowcroft? 2 How much does this regular propaganda sheet cost to produce? 3 Who is paying for it, Arrowcroft or Croydon council (ie the taxpayers)? I have today submitted a formal objection to Croydon Council's proposed Compulsory Purchase Order (CPO) of the Gateway development near East Croydon Station, to The Secretary of State for Communities and Local Government Planning Division. Congratulations to Beanos for actually doing something positive for Croydon. "Following on from my email update a couple of weeks ago, I am pleased to say that the "rescue package" is under way and there is hope for a future world that includes BEANOS! As I mentioned previously, this will mean us trading on just the ground floor and letting the top two floors to stall units selling goods complimentary to our trade, in fact, an Indoor Market based around the appeal of BEANOS. Our construction team is busy with hammers and sharp implements as we try to re-organise the ground floor giving us the room to build these stall units.